have the confidence to make the right decision? When you read scripture it is easy to see the importance of making wise decisions. Our decisions have the ability to build up the kingdom of God or hinder the image of God. As a leader in ministry we are often faced with a plethora of decisions on a daily basis. Some are large, game changing decisions that require hours of thought, research, consulting and prayer. Other decisions may be small in comparison that can be made on the spot. Regardless of the weight of the decision – we need to have the confidence to make the right decision. Sometimes this can be more difficult than we would like. A few weeks ago I found myself unable to make a simple decision (approve a worship set) that I normally would not struggle with. Maybe this has happened to you. Believe it or not, there is such a thing as, “Decision Fatigue”. Where, a long series of decisions can actually diminish the overall quality of future decisions. You lose confidence to make the right decisions. You take a longer time to make a simple decisions. You doubt your decision making abilities. The technical term for this is ego depletion – the tireder we get, the less emotional self control you have. You struggle to make the right decisions. So, how can you have the confidence to make the right decision at the right time? Here are a few ways that have helped me. Find Your wisdom first in the Word – not the world: Sometimes we can be tempted to turn to books with claver book titles, or blogs to gain wisdom. Although books can be immensely valuable they can’t compare to the riches in scripture. Prioritize your important decisions: Every day, I began by writing down what is most important for that day. I know that I make the best decisions early in the morning, or late in the evening. By time mid-day hits my mind is going in a hundred directions and i can’t slow this thing down. Prioritize what is most important to you. I know that I can’t give myself to everything so I have to pick and chose what is most important. What’s the best decision for the direction of the ministry/church. Sometimes I a tempted to make decisions based on what I like and my preferences. 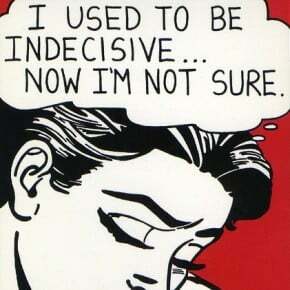 Every time that I am tempted to make decisions based on me, I have to refocus on..
Is this the best decision right now? What season of ministry are we in right now? How would this decision affect future decisions. Do you have enough margin right now to make this decision? Does this decision compliment what is most important to our church. Has someone made this deacon before you? History is extremely important! Who in your ministry has traveled this road before you? What do my peers say: Before you check up – check sideways. Don’t be too prideful to ask for others wisdom. God has placed you in a team to build you up. Proverbs 12:15: The way of a fool is right in his own eyes, but a wise man listens to advice. Clearly communicate your decision with all parties. Some Decisions will be the wrong one’s:Not all decisions will be the right ones, we have to be willing to make the wrong ones in order to make the right ones.